The online catalogue is now live. This year's Summer Selling Exhibition opens on Saturday 10th June and runs for three weeks (this is a week later than originally planned but has been delayed due to road closures the previous week). 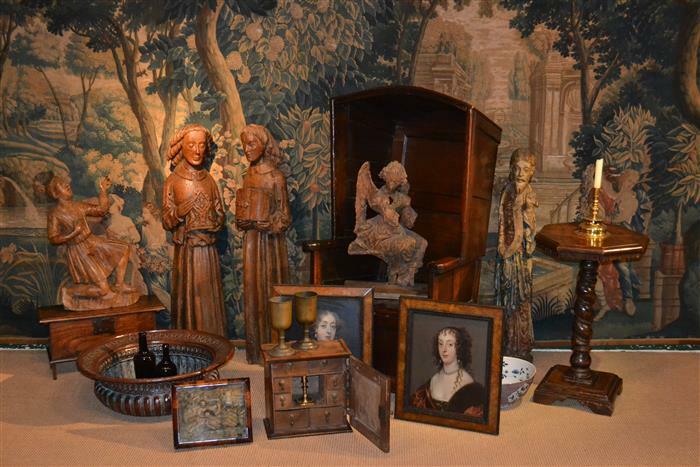 As usual, it will include a wide range of early furniture and works of art. 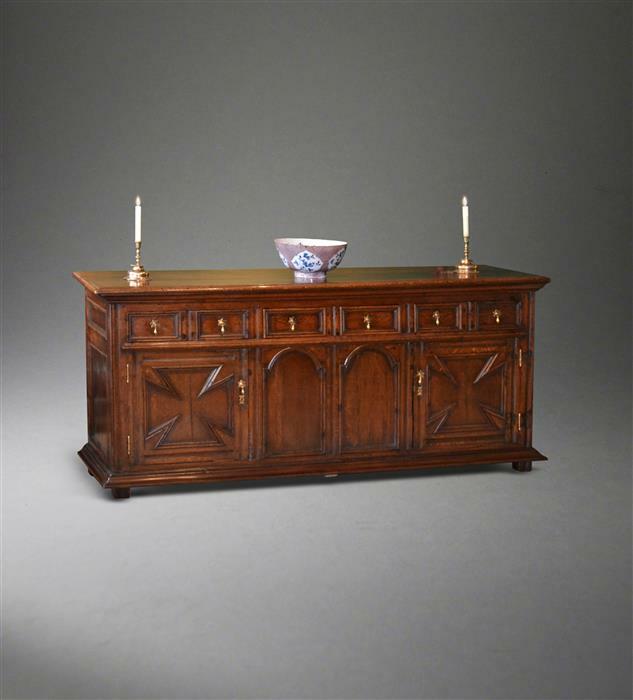 Oak furniture includes a massive early 18th century gateleg table, four good dresser bases of varying sizes, four farmhouse refectory tables, a rare hooded lambing chair and a very unusual two part chest. In other woods there is a superb Queen Anne burr yew lowboy and also in yew a lovely four seater gateleg table, two shepherd's crook armchairs, one in ash and the other in walnut, a tiny burr elm chest of drawers, a burr elm wine table,a George II wingchair with a fine needlework back and three walnut frame mirrors. The works of art section is strong on early carvings as well as three good tapestries and a charming Charles II silkwork.